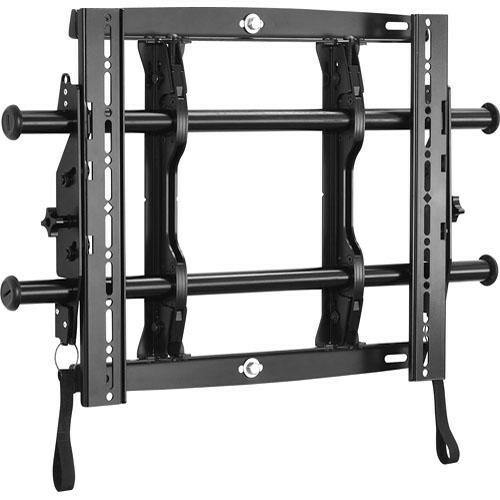 The Chief Fusion Micro-Adjustable Tilt Wall Mount is an affordable solution for wall-mounting TVs measuring 26-47 inches with weights up to 75 lbs. The mount sits just 1.99" from the wall and mounts on single studs or 16" centers. Centris low-profile adjustment allows 0-12° tilting to assure the perfect viewing angle. Centerless Shift provides post-installation, lateral shift for fine-tuning. Other features include ClickConnect mounting confirmation, built-in cable stand and integrated security, which accepts a padlock. Box Dimensions (LxWxH) 28.5 x 18.5 x 4.0"